Almost 12 months on and the project “show(s) that we can kill tumour cells with CBD whilst the astrocyte population is unchanged”. However, Prof Grundy, who has been leading the research, has cautioned that “these results, though promising are very preliminary and there are a range of increasingly complex studies that need to be conducted to assess whether cannabinoids may have a role in treating children’s brain tumours”. Despite the cautionary tone, it’s hard to contain our excitement at this latest development, not least because it means that our efforts to date have not been in vain. The next six months of this project will be critical but given these results and current events we are increasingly hopeful that clinical trials into cannabinoids and childhood brain tumours are increasingly imminent. There’s much more to be done and we’ll be continuing to do all we can to make sure that childhood brain tumours aren’t forgotten as cannabinoids are increasingly being shown to be effective against cancer. Please watch this space for how you can help – in the meantime, please like and share our page and posts so as we can continue to spread awareness. The National Institute for Health and Care Excellence (NICE) has been asked to carry out a review of cannabis-based products for medicinal use and is in the process of setting up a committee to discuss prescription guidelines. As someone who has had a very keen interest in cannabis and cancer for two years since William’s tumor reduction (having given him Cannabidiol), I applied for a lay-member position on the NICE committee although, since the draft scope didn’t include cancer treatment as something cannabis-based products could be prescribe for, my application was declined. This prompted us to apply to have Make William Well registered as a stakeholder in the committee and we’re delighted to be able to announce that, just before the deadline for submitting comments on the draft scope passed, we received confirmation that our application was successful. The comments we submitted emphasized the importance of having cancer treatment considered by the committee… watch this space… if you have any comments you would like to be put forward to the Committee, please let us know here. I attended this event on Tuesday organised by the charity Brains Trust and found it really interesting. It was aimed at children and families living with a brain tumour diagnosis, researchers, clinicians and people with a professional interest in brain tumour care. It was a long day with some really interesting topics covered, from how drugs can be better delivered to brain tumours to promising new therapies to late effects of brain tumours and their impact on education. (click here for a copy of the programme and here for details of the speakers). Instead I’d like to focus in on some of the things I found particularly exciting in some of the presentations. Professor David Walker (Professor of Paediatric Oncology) presented on the challenges of drug delivery and how difficult it is to get the correct amount of a drug to a brain tumour, particularly since it isn’t easy for many drugs to pass through what is know as the blood brain barrier. One of the approaches David spoke about (there were more in subsequent presentations) was the use of micro-catheters and their use in delivering drugs directly to the tumour although the most exciting thing for me was the prospect of being able to re-visit drugs which had previously been written off due to their inability to cross the blood brain barrier. This presentation was delivered in two sections by Dr Ruman Rahman (an academic assistant professor) and Ms Catherine Vasey (a PhD student). They both spoke about the exciting procedure of placing drugs within a “container” near to where a tumour was removed during surgery so that the drug could be gradually released at the exact point it’s needed. Catherine went on to discuss nano-particles and how they could be used to contain drugs and only release them when they enter a cancerous atmosphere. Dr Stuart Smith, a Clinical Associate Professor in Neurosurgery, gave a presentation on electrical fields and how they could be used to disrupt the growth of fast growing cells. Very exciting but very expensive. The afternoon session covered some of the practical consequences of having a brain tumour for children from cerebellar mutism syndrome to late effects to the impact on education. A fellow parent of a child with a brain tumour, Pam Wouters, gave a very touching account of her son’s brain tumour journey. What was really encouraging was hearing another parent speak about the importance of a holistic approach, in particular diet. Next Tuesday the deadline for commenting on what conditions medicinal cannabis can be legally prescribed for in the UK will pass (for some reason this fact appears to have gone largely unnoticed). At the moment the list of conditions includes chronic pain, intractable nausea and vomiting, spasticity and epilepsy but not cancer treatment. This is because, despite a significant amount of research proving that cannabis compounds can kill cancer cells in the laboratory, there is evidently not as much as for the other conditions to warrant its inclusion (even for use when all else has failed as a last option). Traditionally, the process of getting to the level of evidence required for the inclusion of a condition typically involves gold standard randomized controlled trials, which cost £millions. With cancer rates in general continuing to rise and oncologists having to rely on the decades old treatment options of surgery, chemotherapy and radiotherapy for many conditions (only one drug has EVER been developed specifically for a childhood brain tumour), this “gold standard” approach is clearly failing. Luckily there are those in the scientific community who recognize the limitations of expensive controlled trials and the importance of other approaches such as adaptive clinical trials which evaluate treatments by observing their effects on patients and making changes based on these observations. I’m by no means a researcher or scientist but would it be so hard to imagine the benefits of allowing the prescription of medicinal cannabis to patients for whom all other treatments have failed and for this to be done as part of an adaptive clinical trial? As well as generating much needed clinical research, this would also mean that patients and the parents of children with cancer would have access to medicinal cannabis under the supervision of a doctor as opposed to having to self fund and medicate using drugs of often questionable quality and content. 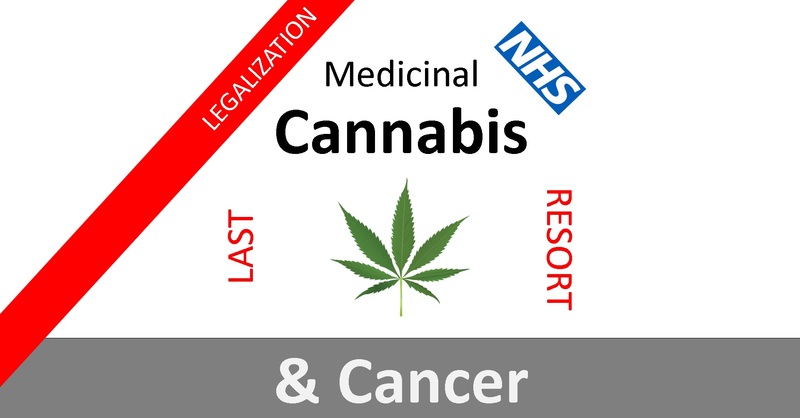 If you haven’t already, please consider signing our petition to Have Cancer Treatment included in the Medicinal Cannabis Review but hurry, we only have until 4th December. If you like what you’ve read here please also consider following our Facebook Page. Argh! What Should We Do…? It was the feeling of being so helpless that inspired us to do everything we have in the hope that should his tumour start to grow again we’d have some proper answers as to what it was that shrank his tumour in the first place and what we’d be able to do should his tumour return. …which is why the one thing keeping us going at the moment is the prospect that the culmination of months of public awareness and government decisions surrounding medicinal cannabis may result in us having access to a dependable source of the cannabinoids and the prospect that this may lead to clinical trials happening sooner. That’s why we started this new campaign (different to the childhood cancer petition we started a while ago) and are so passionate for cancer treatment to be discussed as a condition for which medicinal cannabis could be prescribed. Please sign and share this petition – we only have until 4th December so please don’t put it off.